We found 9 episodes of Spark Joy with the tag “categories”. An encore presentation of our most popular episode. Spark Joy co-hosts and KonMari Consultants, Karin and Kristyn, talk KonMari basics. Karin and Kristyn discuss how organizing by category can help you keep your home organized and prevent a return to clutter. Holly Southerland, traveling professional organizer talks taking risks and making bold moves. Your Vision: defining your ideal lifestyle and living environment, KonMari style. Kelly Covert, inner voice coach, helps us lay down lifelong habits to help us break free from the past. Jenny Ning, Marie Kondo's first employee in the US, shares what it's like to work for the Queen of Tidy and her journey from KonMari super fan to Bay area home organizer. 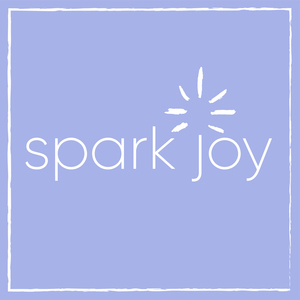 Spark Joy co-hosts and KonMari Consultants, Karin and Kristyn, talk KonMari basics.